“Inside the vestibule at 215 West Thirteenth Street, a row of doorbell, as tiny as the buttons on a woman’s blouse, awaited callers” begins the chapter on Nin, who Johnson dubs the professionally private writer. 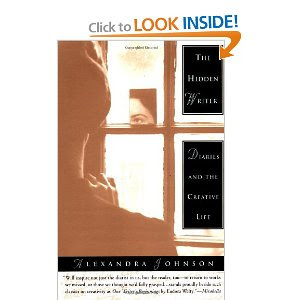 Johnson mentions that she worked at UCLA’s University Research Library when researching the diaries of Nin and she expresses her thanks in the introduction to this little gem of a book on diaries and the creative life. It is this still-private material that makes this tiny chapter both illuminating and painful. This site was started before certain facts were known and Johnson handles this sense of what it was like to read these diaries at the time those of us who founded this site experienced. Although I can’t speak for Valerie Harms or Donna Ippolito, this account sums up my current feeling about the Nin I both loved and respected. Although I no longer share my earlier illusions, I bless the connection and applaud Johnson’s brave and astute analysis. Her work is psychologically attuned to the disappointment that the Diaries have brought to those who believed the “spirit” of the work. Johnson doesn’t blame as much as just pull off veils. Nin’s transparency was not real but her being that touched the young, still seems to touch them, and for this I suggest that we read and experience the diaries as “fiction”. Kudos to Alexandra Johnson. My friend William Rossa Cole, years ago, when he introduced me to Frances Steloff at Gotham Book Mart, called me and fellow lovers of Nin ” Ninnies” I fear he was too kind. We were ninnies, but thank goodness we saw other things in this bodhisattva of being. 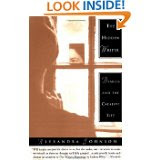 Alexandra Johnson outlines the mindset of the seventies ninnies.